For something that plays such an important role in the health of a company, collecting market knowledge seems quite sporadic. According to the same report, marketing is the department most frequently listed as the one that takes the lead in market intelligence. 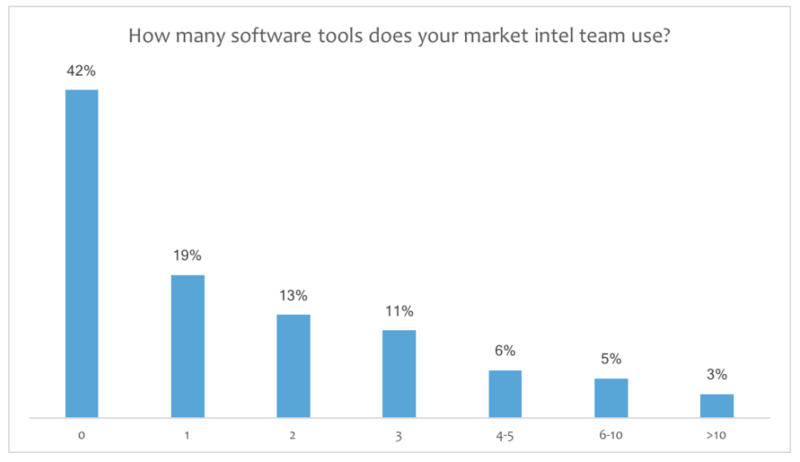 The problem with that is the time-consuming element of data collection and analysis, especially on top of everything that marketers already do—and 79% of the respondents cited timeliness as a critical factor for market intelligence success. The flipside? Marketing is the perfect way to collect valuable market data and make actionable decisions. In other words, it’s the digital footprint of your competitors that will give you an overview of the current competitive landscape. When your reverse-engineer these insights, you’ll get an overview of what your digital footprint should look like inside the market you’re competing in. In other words, you will be able to better define your marketing strategy. With this in mind, a large part of your competitors’ content is the state of the market, and can help you always publish relevant content and get the most out of every single piece you create. 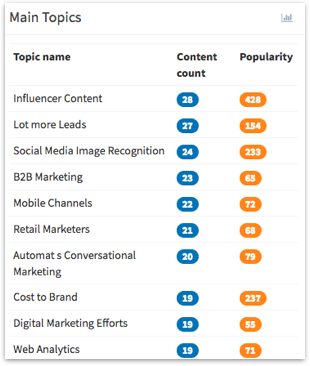 As the list from Market Intelligence Central indicates, a lot of the market insight can be derived from competitor activity across channels and touchpoints. The best news is that this can be monitored and analyzed with the help of content intelligence. Our definition of content intelligence identifies it as technology that provides data and insights on owned and third-party content to increase results from marketing. Knowledge you’ve gained through content intelligence—and actions you decided to take based on it—can power up your big-picture business strategy. Here are two ways this works. Coming up with topics for your content is a demanding task. No matter how well you’ve defined the purpose of your offerings and the target audience for it, people you’re targeting have many interests, layers, and pain point that are all potential topics connected with your product or service. 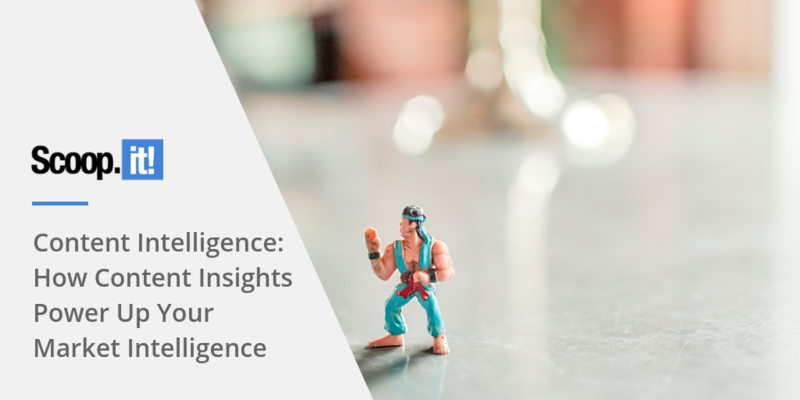 With content intelligence, you can take a deep dive into many segments and interests of your audience and analyze the performance of topics and formats across the entire market. As a result, you’ll be able to plan your content with certainty and predict its reach and impact. The impact on market intelligence: You will get a detailed overview of the content topics and formats your competitors are creating and notice any patterns, as well as gaps, in their market strategy. This will highlight specific pain points they are—or are not—targeting, as well as their success with it. Content shock is real. It’s a term Mark Schaefer coined to illustrate the overwhelming amount of content being created—a lot more than people are capable to consume—and the increasing challenge to stand out. In other words, even though it’s useful to know what third-party content already performs well, it’s essential to analyze angles that your competitors have taken. This way, you can approach key, well-performing topics from a unique perspective rather than creating content that’s already seen. The impact on market intelligence: You will get an insight into the positioning of key market players. Especially in case of your most fierce competitors—those that serve apparently identical audience as you—analyzing their positioning will help you take a distinctive approach to how you communicate your products and services. Finally, what does content intelligence that fuels complete market intelligence look like in real, day-to-day life of a marketer? Get inspired by these examples and use cases so that you can try them out yourself. If you had to Google-search your main topics and angles day after day, you’d never get anything done. This is where content intelligence tools come in handy. No matter which tool you choose, the more you can automate key filtering before you analyze and sort through topics and ideas, the better. To keep an eye on the new and trending content on your core topics daily, you can also adjust settings to receive emails every day, only on weekdays, or once a week with the most impactful content. To empower each member of the teams that require up-to-date content and market intelligence, you need a system that allows for that knowledge to flow in an easy, yet private and secure way. Scoop.it Enterprise makes it easy for coworkers to share key information without friction or the risk of forgetting an essential resource to add to company’s market intelligence. It also allows team leaders to identify and highlight thought leaders within the organization, as well as monitor overall participation and engagement through intuitive analytics. Gathering all this data also means you get to see how specific topics, angles, and formats perform on individual channels. Some content is evergreen, while other might be more ephemeral. This doesn’t mean that one is better than the other—just that they serve different purposes and might work better on some channels than the others. 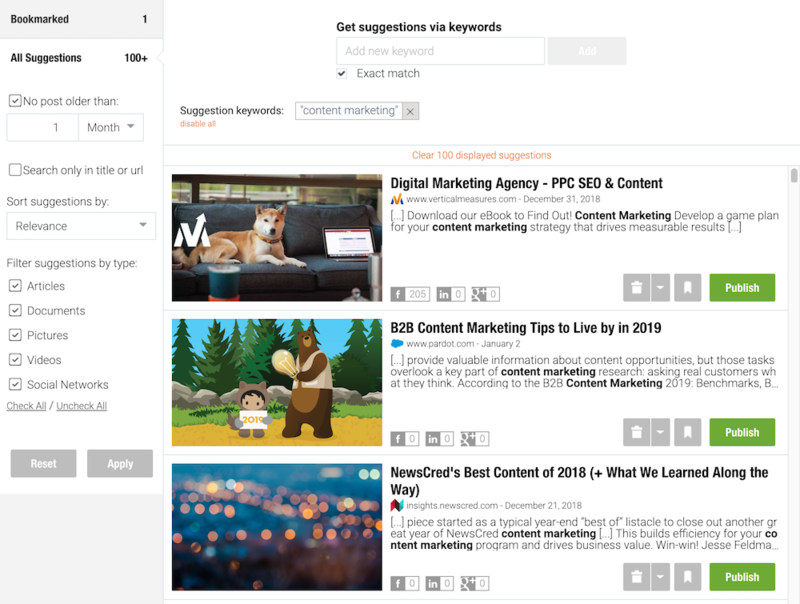 Ultimately, a great content intelligence workflow will help you use the best channels for your organization based on your goals, resources, and unique positioning on the market. By now, it’s clear that the more information about your market you have, the better your chances to thrive in it. 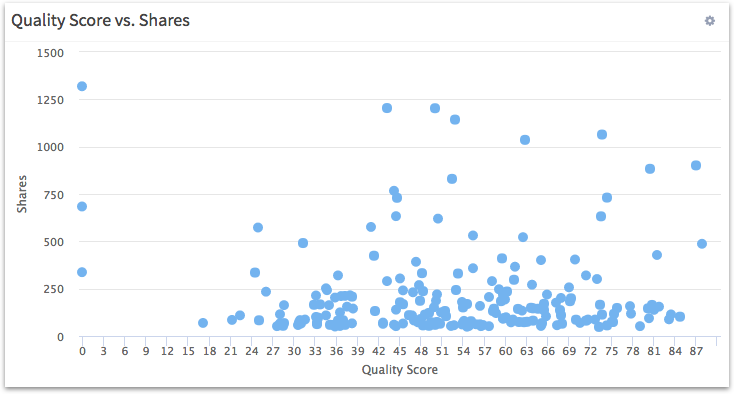 The content your competitors produce reveals invaluable data that you can build right into your content creation efforts, as well as your unique position in the competitive landscape. With this in mind, you will create a system that will help your organization collect, analyze, and take action on the data that matters the most.